I’m a naturopath and acupuncturist, working in central Sydney. I have been in practice since 2009, with a Bachelor of Health Science in Naturopathy and a Master of Applied Science in Acupuncture. 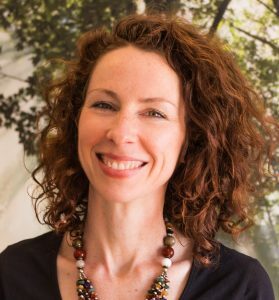 I began my career working in a large acupuncture and naturopathy clinic in Brisbane’s CBD, before relocating to Sydney almost seven years ago (time flies!) I first joined the team at Bourke Street Clinic, a collaborative clinical environment where I worked alongside medical and allied health colleagues. I took maternity leave following the birth of my daughter, after which I resumed practice from Bourke Street’s Double Bay clinic. I closed my books in 2016, to take some time for myself and my family, and to allow me to work on several big projects. This included the development and roll out of MamaCare Health Services an in-home postpartum health program, a passion project of mine. I also took time out to focus on postgraduate study and complete my acupuncture qualification. I joined the Pyrmont clinic in 2017 – a beautiful space with a wonderful team. From early 2019, I extended my practice to work alongside Dr Paulette Maroun and colleagues at Paradigm and Co, in the CBD. I also do home visits, all over Sydney, as part of MamaCare’s services. My background prior to health was in the arts: as a performer, researcher and wannabe professional clown. My first qualification was a Bachelor of Arts, majoring in Drama and Russian. I know, SO useful. Fun though; and helped to furnish my understanding of communication, human behaviour and health. Outside of practice, I’m involved in professional education: teaching natural medicine students and previously presenting courses for midwives, nurses and lactation consultants on naturopathic pregnancy and postpartum care. I have also worked with community and corporate healthcare programs, including appearing at fun events such as the Woodford Folk Festival. I sit on the board of the Naturopaths and Herbalists Association of Australia, as I am passionate about raising the profile and practice standards of my profession. I occasionally write for media publications on the topics of health and wellbeing, but most of my more recent published work is in academic health journals and clinical texts. I also blog here, some times more regularly than others. In clinic, I focus on optimising day-to-day living through diet, lifestyle, herbal therapy and acupuncture. I hold a particular interest in working with the health of women, new parents and families; as I am passionate about creating healthy foundations for our next generation. However, I love working with people from all walks of life, helping to institute changes that can become life-long health habits. Away from the clinic, the things I enjoy most are: spending time with my husband, raising our daughter, connecting with friends, reading, writing, travelling, daydreaming, bad puns, practicing yoga and handstands. I also really love being outside, whether that’s sitting in the sunshine reading the paper, bushwalking or swimming… I dig it all.